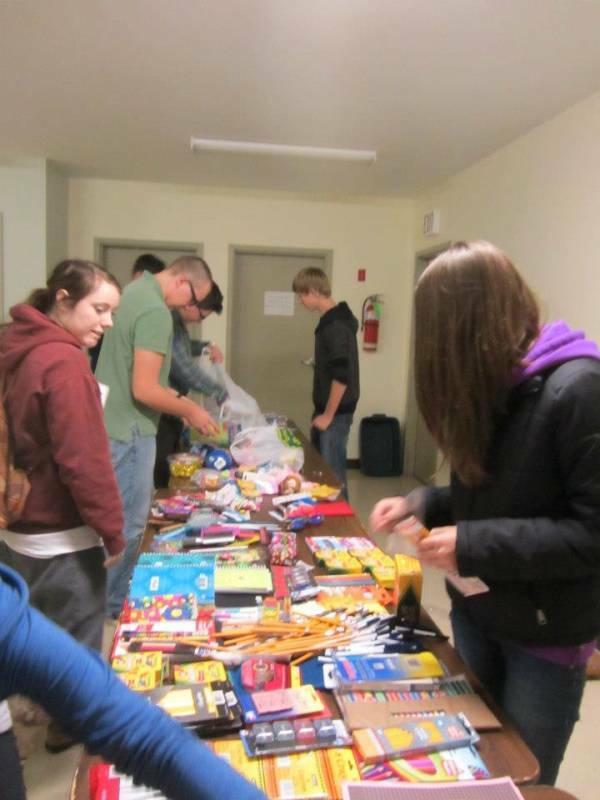 St. John's Presbyterian Church | Youth Group | St. John's has a dynamic youth group program! 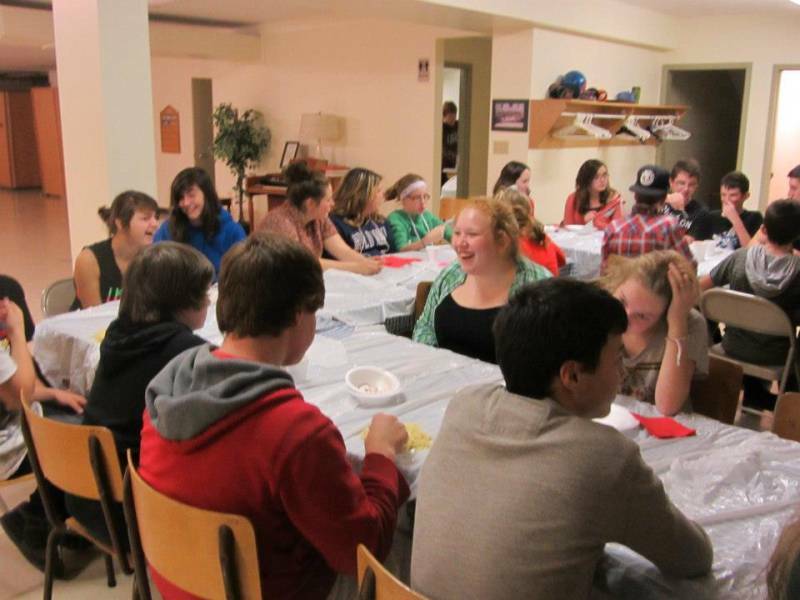 St. John's has a dynamic and passionate youth group with anywhere from thirty to fifty junior and senior high youth attending each week on Monday evenings. Our youth group continues to grow as they spend time learning, caring, sharing, praying, and serving together. Junior High meets Mondays at 6:00pm, and Senior High Mondays at 8:00pm, and are led by Rynier Carpendale and Sarah MacPhee. We welcome you to come and check us out and see what the Lord is doing with and through our youth here in Belfast! A fun time eating a "messy meal"! 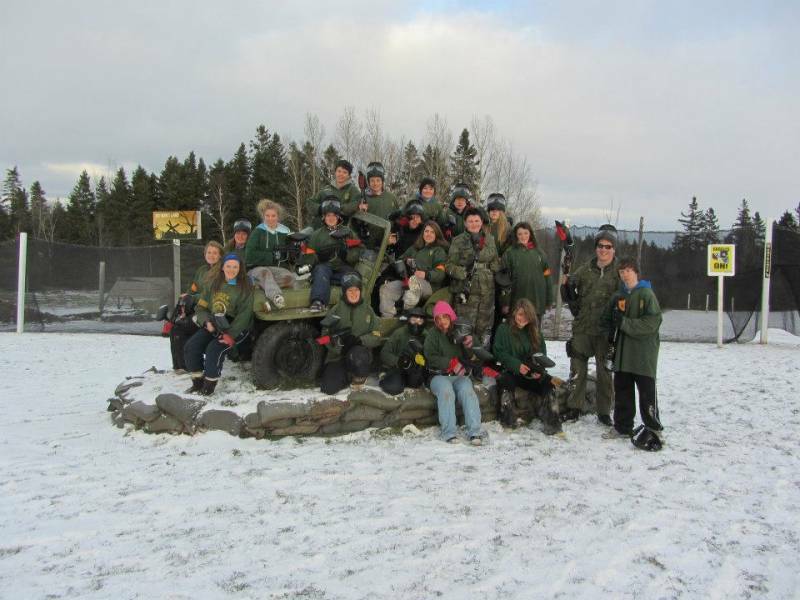 The youth group had a great time at Spike's Paintball!